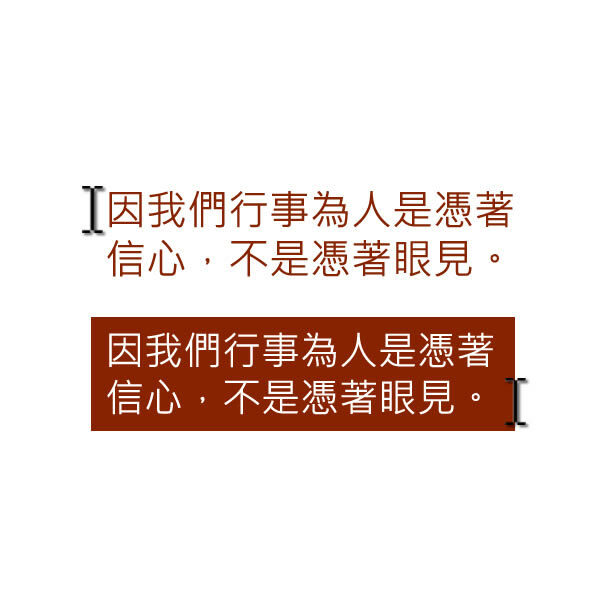 Click on the Pronounce icon and hear the selected Chinese pronounced for you. Loqu8 uses a powerful text-speech engine to generate pronunciations on-demand. Unlike older technologies that use pre-recorded voice, iCE is fast and efficient. Switching voices, changing speech rates, adding pauses--are all immediately available with the included Premium Voices. Creating new entries* for your custom dictionaries? iCE's speech engine will also work with your new words and dictionaries. 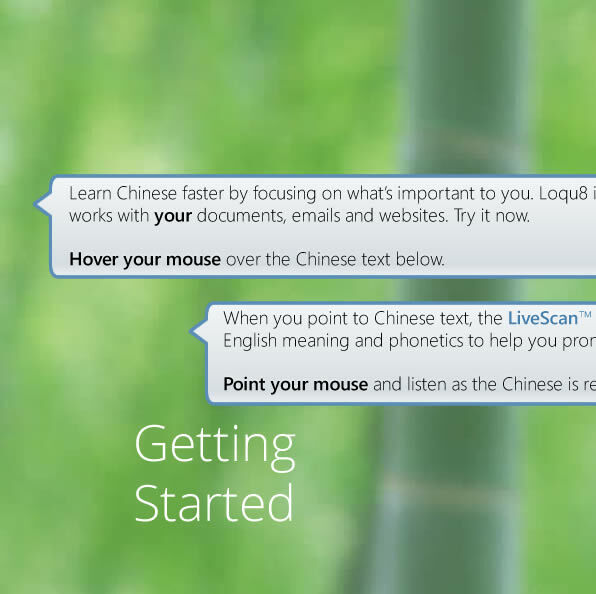 Loqu8's impressive text-speech technologies make it much easier for you to hear and learn Chinese. Start with a slower speech rate to hear the nuances of each tone. Add a pause between words to help you distinguish each tone. As your proficiency improves, increase the rate. When you're ready to practice conversational Chinese, max out the speech rate. In Settings > Speech, customize your speech settings. 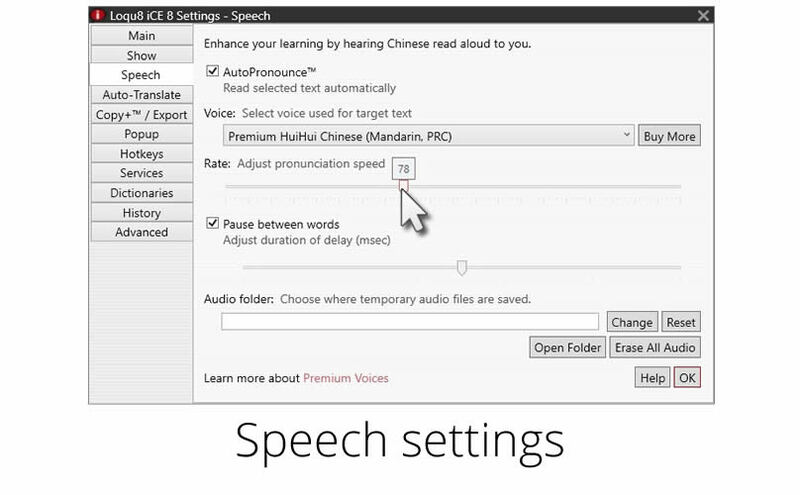 Enable AutoPronounce to hear the word(s) pronounced every time you select a word. Choose different Chinese voices. 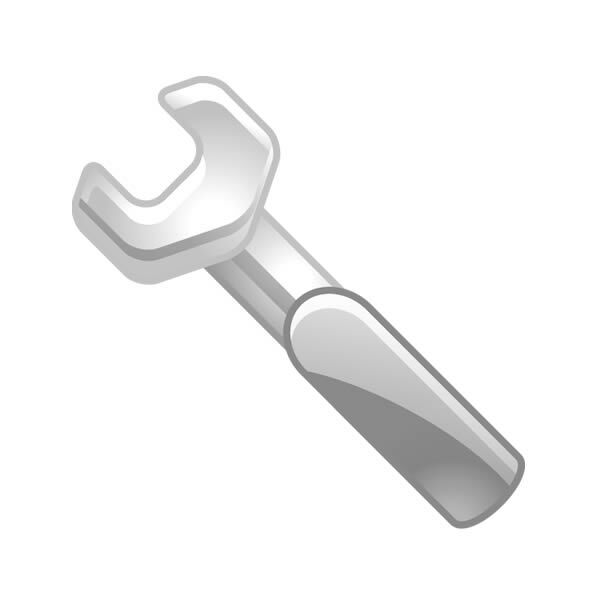 Adjust the speech rate and even add pauses between words. Want to review the pronunciations on your mobile device? With iCE 8, just import (or copy) the iCE audio files to your device. 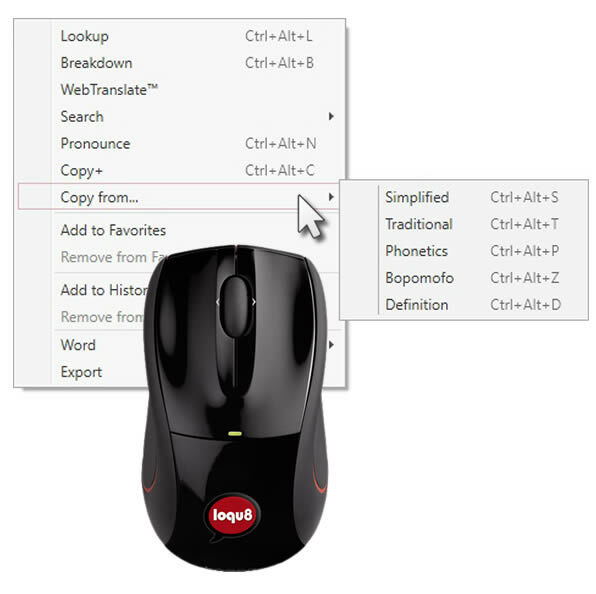 Personalize speech, popup and other settings to provide just the help you need. 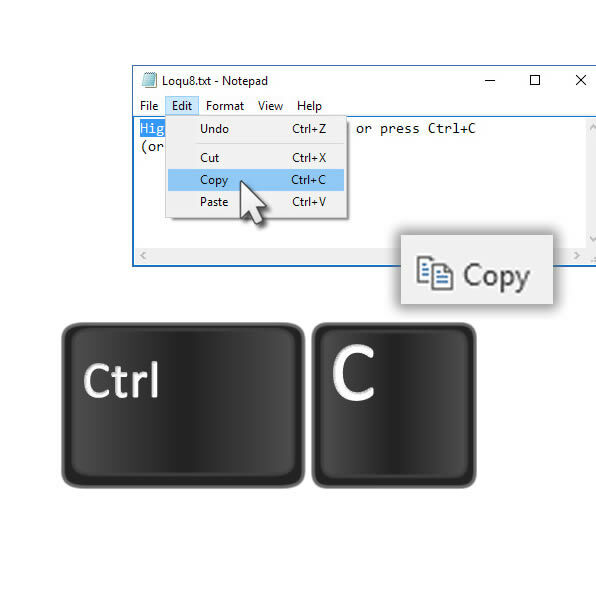 Hands-on tutorial for demonstrating LiveScan, Lookup and more. 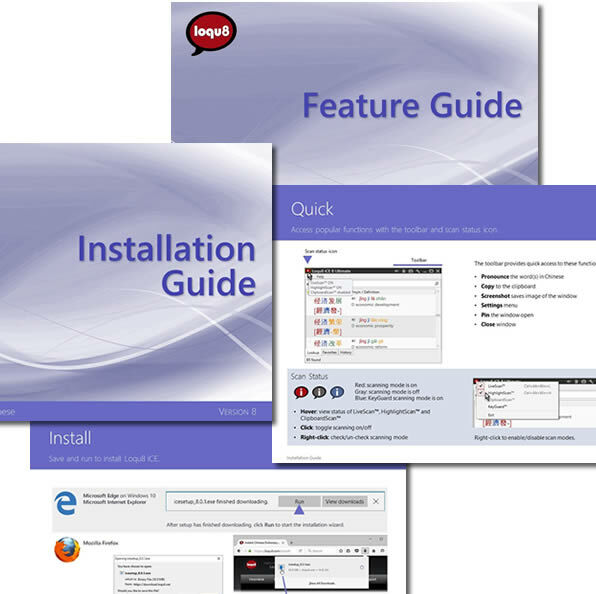 Brief guides show you how to install and get the most out of Loqu8 iCE.